David brings over 27 years of business and management experience to the firm, having spent the last 15 years in the financial services industry in various areas ranging from wealth management, hedge funds, venture capital, and investment banking. Leveraging his experiences with the Private Banks of JP Morgan and Credit Suisse, David continues to serve a diverse set of clients that consists of business owners, corporate executives, not-for-profits, and family offices. Over the course of his finance career, David has worked for a renowned hedge fund manager, built and run multiple financial services firms, established a multi-family office for clients, and formed a venture capital and private equity fund. As President, David oversees the day-to-day operations of Calvera Capital Advisors, including client portfolios, compliance, and is a member of our Investment Committee. 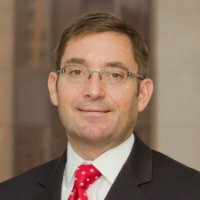 David holds an MBA from The University of Chicago Booth School of Business and a Bachelor of Arts degree in Communications from Eastern Illinois University. David is active in his community; serving on the Development, Fundraising, and Endowment Committees for St. Francis College Prep High School, as well as coaching his son’s Mite hockey team.